Sports Tracker – All you need to get fit and feel great! 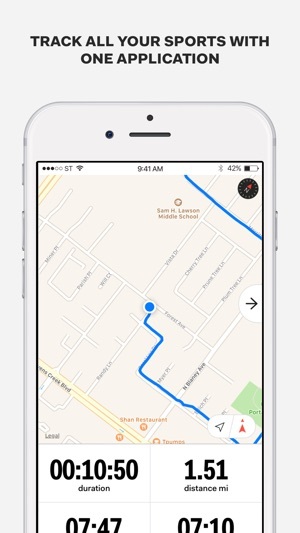 It’s free, reliable and easy to use GPS tracker. We’ve got great maps and all the features you need whether you’re into running, cycling, walking, or any other type of exercise. There’s over 90 workout types to choose from. Sports Tracker is the first and the best fitness app using GPS for tracking running, walking, hiking and other workouts. 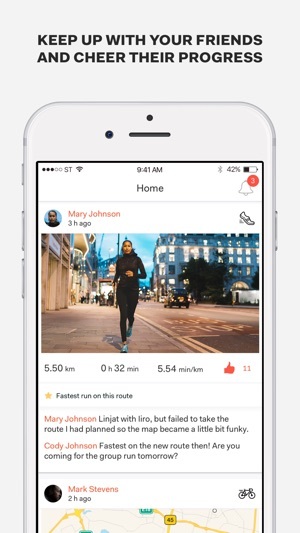 Sports Tracker has helped millions of runners, cyclists, and fitness fans worldwide. Our users love our app and they’ve given us over 4,5 stars ratings. We do our best all the time to keep you happy! With users from 200+ countries and over 20 million downloads over time Sports Tracker is the social sports tracking application and service that started it all. It's the first and the best fitness app! 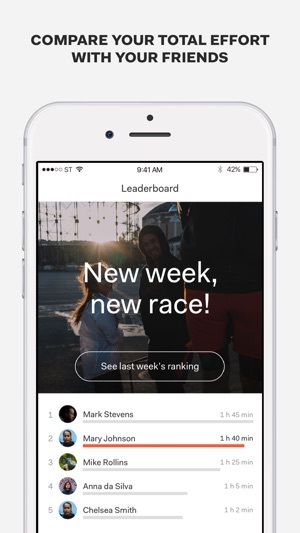 Powerful social features let you share your progress, videos and photos with friends and followers, motivating you to stay on track with your training. Track your workouts with great maps and analyze everything from calories burned to average speed and altitude, and monitor your progress as you work towards your fitness goals. • Track reliably and accurately all your sports from running, walking, cycling, swimming, mountain biking and cross-country skiing to nearly 90 other activity types. In the rest of the bunch there are sports like parkour, yoga, dancing and martial arts to mention a few. • Share your workouts, photos and videos on Sports Tracker, WhatsApp, Instagram, Facebook, and Twitter. 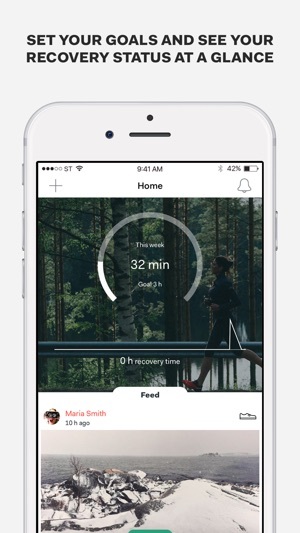 You can now customize your workout shares with the stats you choose! • Like to workout in the evening? Just turn on the night mode! 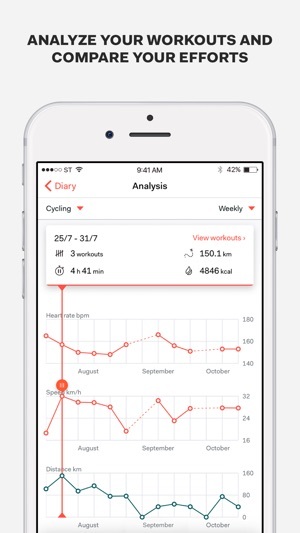 • Sports Tracker connects with Apple Health. Go to app settings to start sharing your data. Sports Tracker is the most powerful social sports tracking solution available for the iPhone when used with the full-featured online service at www.sports-tracker.com. Your training data will always remain safe once you’ve registered as a Sports Tracker user – even if you change or restore your phone. Training history transfers automatically to the new phone, so that all of your progress is still at hand. Ready to have fun getting fit? Download Sports Tracker today and join the world’s first social sports app community. This time we did some bug fixes to keep things running smoothly. Remember that you can also leave your phone at home and track your workouts with Apple Watch. Remember to leave a review to App Store and invite your friends to Sports Tracker. Sports is more fun with friends! I have been using this app for years, so many years I can probably say since the very first smart phone was introduced. This app was flawless in the beginning, then it went through a phase where I just shelved it. The updates were not coming fast enough for the iPhones and it could track it’s way out of a paper cup. But I will say this it has features other apps don’t and it’s ease of use or should I say user friendly platform is relatively solid. I went back to using it the last few years without any problems. It definitely has its quirks but it is always there when I need it. It’s an app the world is not going to end if it skips a beat. Give it a try but definitely learn how to use it and use its inline PC platform. I’ve been taking evening walks after work in my hilly neighborhood for years but I’ve only really known the time I put into this activity. I’ve had a vague sense of the distance, but with this app I can see how fast I’m walking, how much altitude I gain, how many steps I take, etc. I I didn’t realize that I’m often going three or four miles each evening, with a variance of 200 to 600 feet of altitude gain. Now that I can see all of these details, it seems like much more of an accomplishment than I realized. I also like to try and outdo myself to try and go just a little bit faster when I repeat each of my different routes and the app shows the comparison. Love it! I use this tracker for everything I do. I used it when I was backpacking in June on Eagle Rock Loop in Arkansas it actually saved us from getting lost a couple times when I would check where we were I would see our track looking like a pretzel then we would get back on course. Sometimes the map wouldn’t be in the background but it still tracked all of our steps and I could see our line. Once we got back on grid, the map loaded and it was really cool to see our route. I love all the info it gives from your workout as well. Great app!! I highly recommend it.